We’ve truly entered a different world. And it’s filled with lots of lyrca, cowbells and accordions. 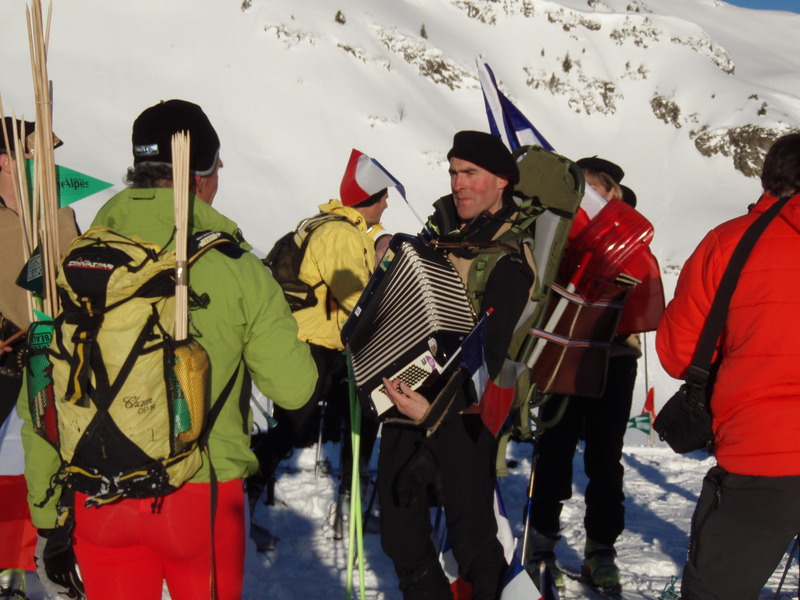 That dude lugged an accordion up over 3,000 feet on his skis…at 5:30 a.m. Impressive. Most impressive. Unfortunately, I didn’t get to see him try to ski it back down. 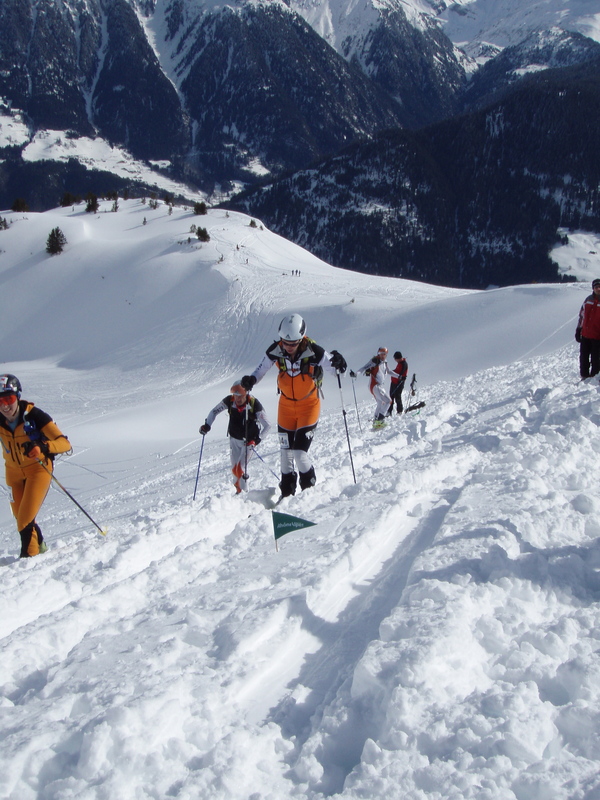 The first day of the Pierra Menta started at 7 a.m. sharp. Katie from Kalispell (whose husband Brandon French is racing) and I started skinning at 6 a.m. to catch the top teams at one of the early transitions. 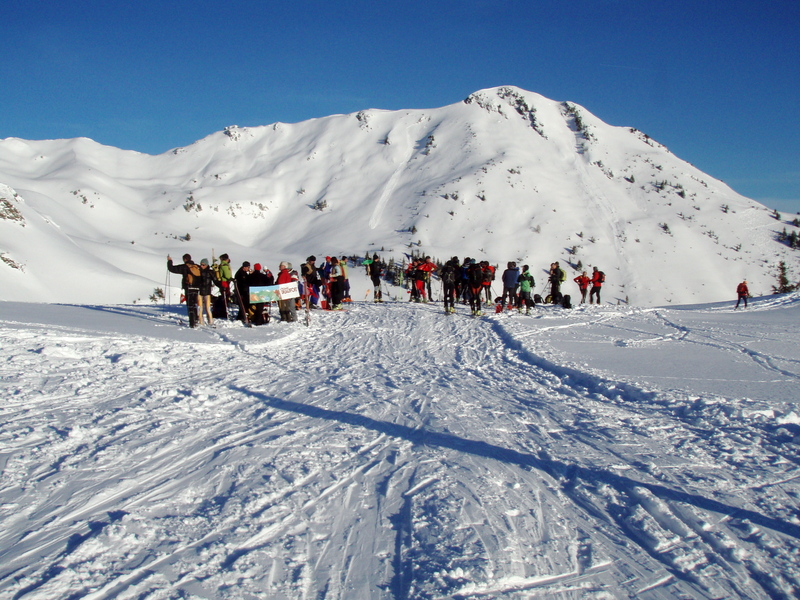 We skinned for about an hour and this is the scene that finally greeted us at the top. Pretty cool. For us Americans, it was certainly a bit humbling to watch just how fast the European teams are, especially the French and the Italians. Hell, the top Italian women’s team beat our fastest men’s team by almost 10 minutes. Regardless, Team America had a solid day, especially if you keep in mind that rando racing is just in its infancy back home. 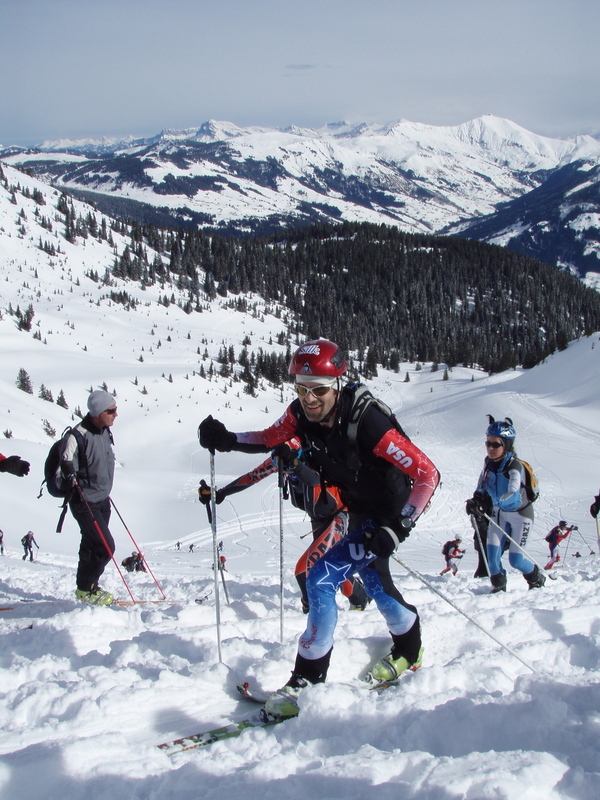 Pete Swenson and Cary Smith finished the day in 47th place, about 40 minutes behind the overall race leaders. Brandon and Jared were just a few minutes behind them and Brad and Jason behind them. Sari has not yet recovered from whatever stomach bug/parasite/nastiness she brought back from China so she and Mona struggled, finishing in eleventh place for the women…a bit disappointing. 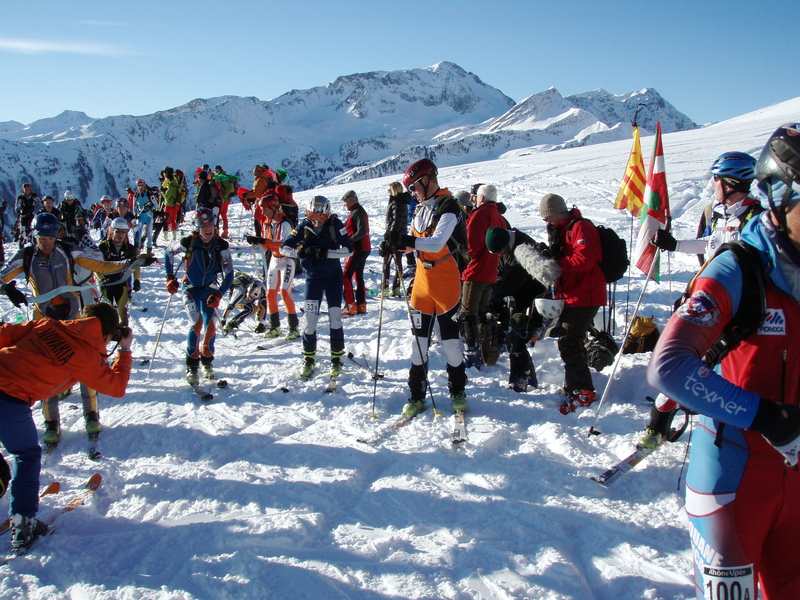 Nina and Linsay finished in eighth place for the women. Sari, head down, grinding it out on the last climb of the day. We’ve spent the evening looking for some Cipro for Sari, a drug that will apparently solve her stomach woes. So far no luck. We’re hoping she feels better by tomorrow for a long stage that includes 2,700m of climbing over 20+ km of racing. Stay tuned. I’m sick you’re sick – take care…. We are watching and cheering! Thanks for the updates, Ian. Good luck Sari, feel better soon!